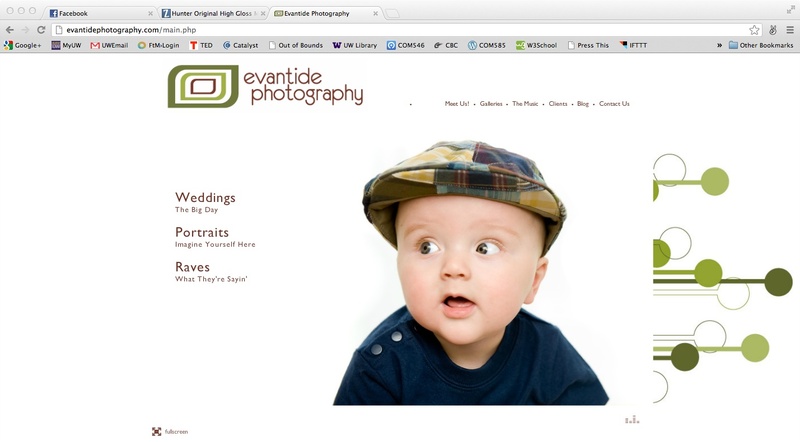 Evantide Photography is the page for Aaron and Meg Nelson’s photography business. Originally started as a hobby of Aaron’s in college, the business covers a limited number of weddings each year but takes on a lot of other projects for customers including pregnancy and baby photos, senior portraits, general personal portraits, etc. It is a family business based in Bellingham. The site has very clean lines and a light and cheerful color scheme. The initial page gives you a choice between the main site and the blog, but you can also reach the blog from the main portion of the site as well. The site does have music that plays immediately upon loading, which is a little annoying, but appears to be a joint effort to advertise for a band that is also linked at the top of the site. 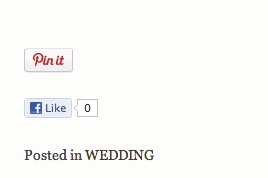 Potential customers specifically brides, new families, or people going through other important moments of their lives. To generate revenue through new customers, as well as returning customers as they have other photography needs. The site is set up through WordPress. There is an RSS option, a contact form, and an embedded music player. There are no reviews of the site itself, but there are reviews of the service.